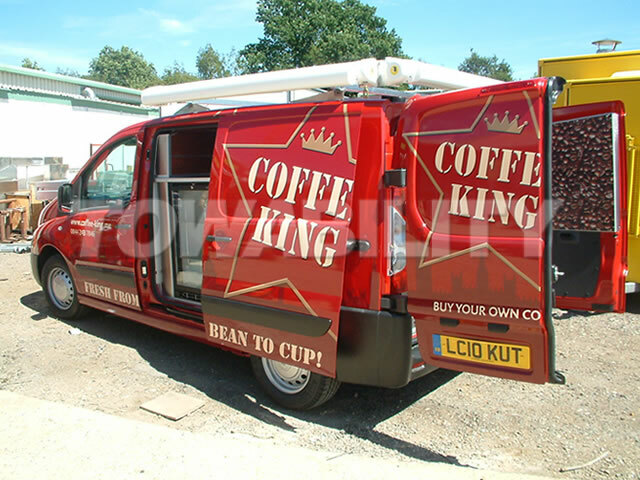 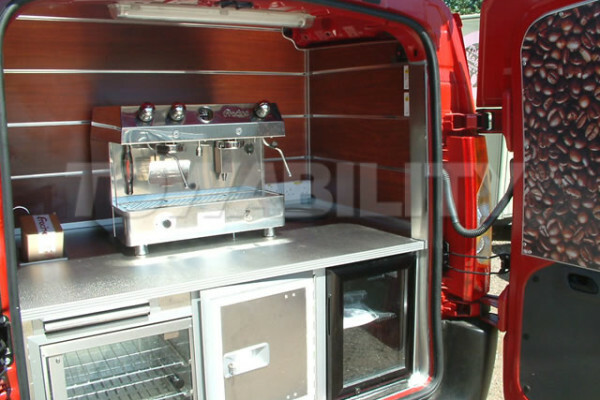 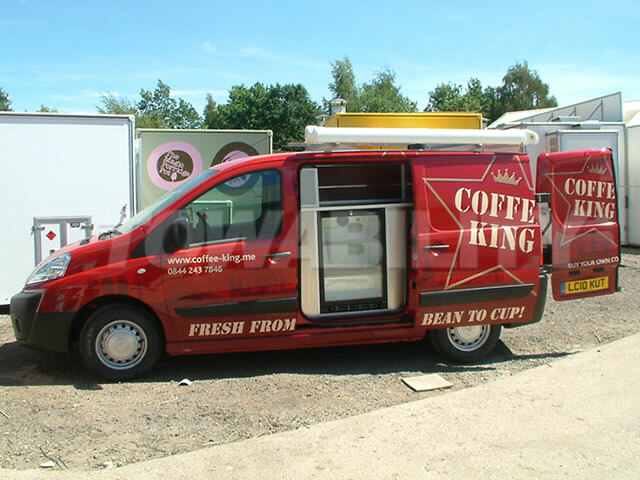 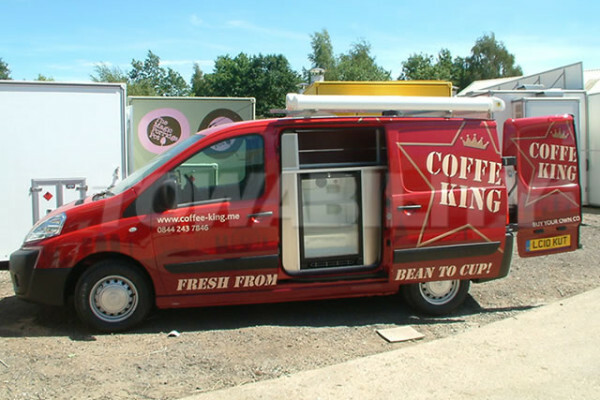 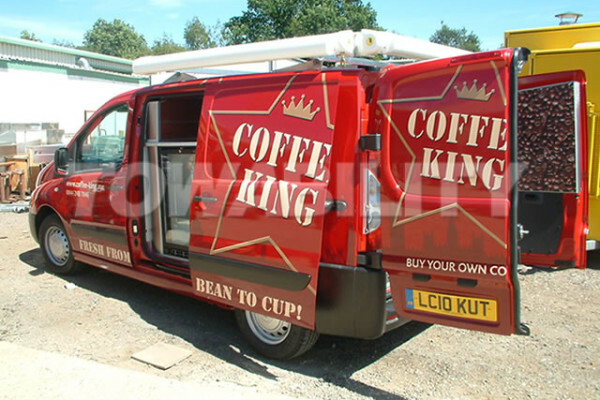 Citroen relay coffee van conversion. 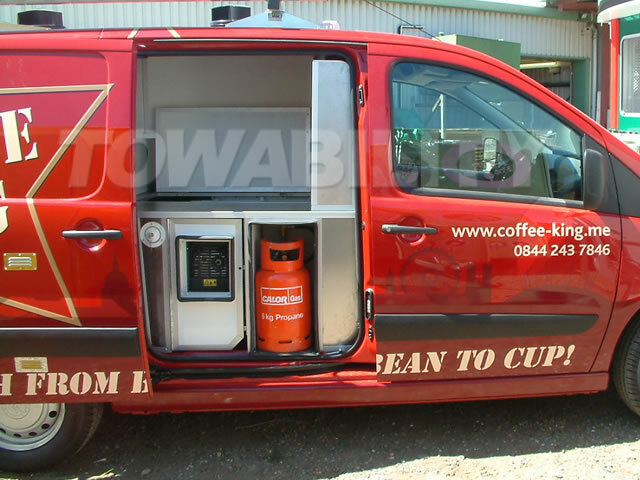 External vending solution from the rear of the Citroen Relay Van. 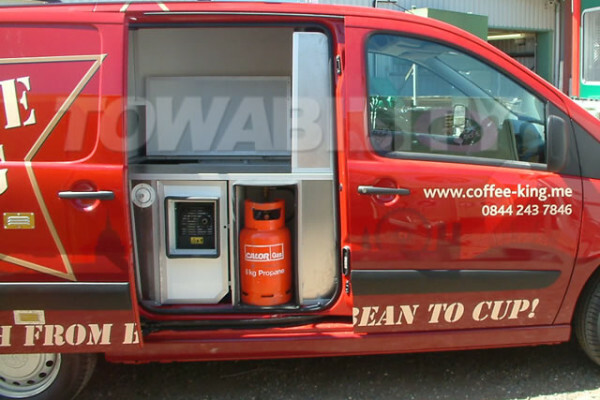 Gas compartment, Undercounter Fridge section built in beneath the coffee machine. 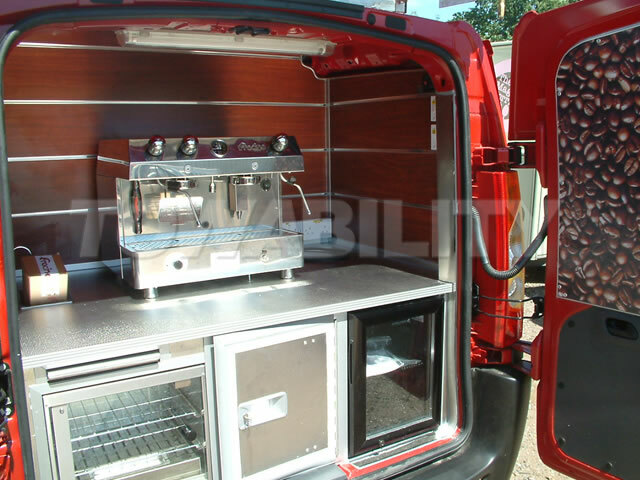 Includes space for a Honda silent generator. 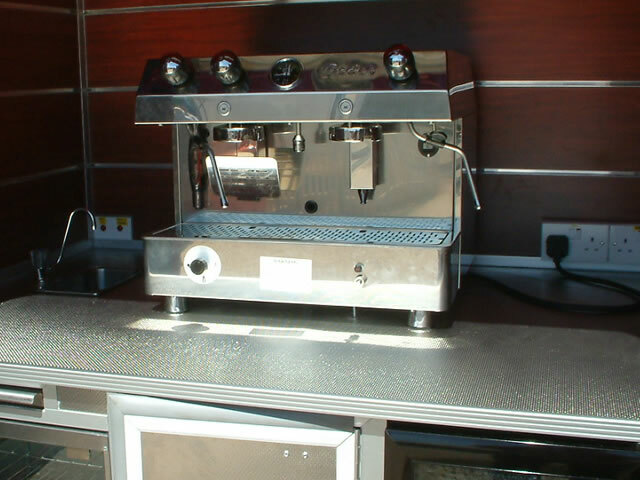 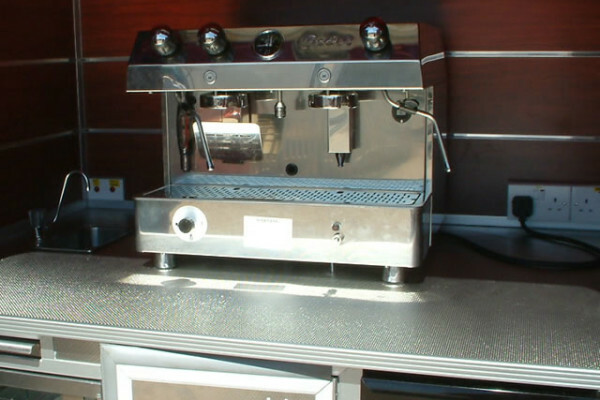 2 Group Fracino commercial coffee machine with commercial grinder.